Maclean, R.A.. "St Francis Xavier University". The Canadian Encyclopedia, 15 December 2013, Historica Canada. 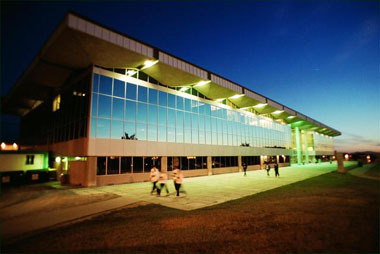 https://www.thecanadianencyclopedia.ca/en/article/st-francis-xavier-university. Accessed 20 April 2019. St Francis Xavier University was founded in 1853 in Arichat, Cape Breton, and moved to ANTIGONISH, NS, in 1855. St Francis Xavier University was founded in 1853 in Arichat, Cape Breton, and moved to ANTIGONISH, NS, in 1855. Although founder Bishop Colin MacKinnon wished to provide higher education facilities for the Roman Catholic Highlanders in eastern Nova Scotia, non-Catholic students and faculty have been part of the university almost since its inception. Full university powers were conferred in 1866. In 1883 a girls' school and academy was founded, later to become Mount St Bernard College. Through its affiliation with St FX, degrees were granted in 1897 to 4 women, and thus it became the first co-educational Catholic institution in North America to grant such degrees. In 1985 women students equalled men in numbers. St FX also initiated the first engineering school in Nova Scotia in 1899. Well known for its efforts to serve the community, St FX established the Department of Extension in 1928. This was headed by Moses COADY, who preached a philosophy of self-help. 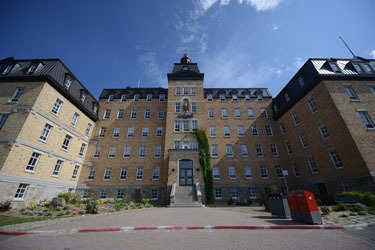 The extension activities were augmented in 1959 with the establishment of the Coady International Institute, which attracts students from around the world seeking to learn the techniques of the ANTIGONISH MOVEMENT. St FX offers undergraduate degrees in arts, science, education, business administration and information systems, graduate programs in arts, education and science, as well as various certificate and diploma programs. Prominent St FX graduates include Brian MULRONEY; Lowell MURRAY; Frank MCKENNA; Larkin KERWIN; Richard CASHIN; and three members of THE RANKINS. Four St FX students have been awarded the Rhodes Scholarship in the last 13 years. St FX's motto is &QUOT;Quaecumque Sunt Vera&QUOT; (&QUOT;Whatsoever things are honest&QUOT;) and its colours are blue and white. The first &QUOT;X&QUOT; was worn on an athletic uniform in 1901. In 1942 the X became the official symbol on the St FX ring and the subsequent focus of the traditional ring investiture ceremony that began in 1958. 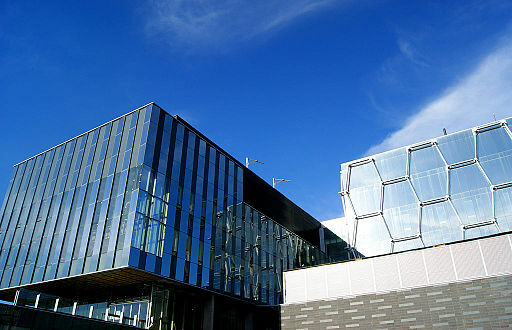 Enrolment is about 3600 full-time students and 700 part-time students. St Francis Xavier UniversityThe official web site of St Francis Xavier University. Festival AntigonishOfficial website of Festival Antigonish. Features the latest festival schedule and educational programs.